A Little Glimmer of Awesome! I write a lot on here about the hard part of everything I find difficult or don’t understand – which is A LOT. Relationships, adjusting, work issues, artistic adventures – you name it and I have probably written about it. While I truly try to show as many sides of the issue(s) as possible, I tend to work through the negative. Anyways, some light in a bit of the funk is in order, especially on this particularly cruddy day (weather wise – it is a mess out there). I have had some amazing moments as a teacher lately. Moments where you say to yourself, “and that’s why it is worth it.” Today, I had a whole class that was like a dream. A “one in a million class periods” kind of class. Kids were excited about Art and working on their own. No whining about how they couldn’t do this, or why is he/she doing that, just Art. Kiddos were drawing and challenging themselves, others were watching me draw.Then – and this is the best part – they started asking questions, trying different approaches to their own work, and drawing for others. How flippin’ great was that moment?! It was pretty flippin’ great! If only every class could be that free form…at least it happened once. And, if I have any say in it, it will happen again! After what I saw today, I’m becoming more willing to broaden my outlook. While looking through my Facebook news feed, I came across a friend’s post defending teachers. Her post was in response to a video posted by a student/student’s parent of a teacher at a local school jumping on to her class. Being a teacher, I was immediately interested. I read her statement, agreed with her, and proceeded to read the comments. Among the comments was a link to the video itself. Normally, I wouldn’t view it. If it’s not Star Wars/Doctor Who/Bradley recommended, I don’t watch it – mainly because I know I’ll get upset. Knowing this video had to be of a teacher I am friends with, I wanted to see what had caused all the fuss. All the teachers I worked with at that school are great, love their kiddos, and go above and beyond the call of duty – this teacher is no exception! The video, really audio, of the teacher calling her students out for not working, is not the worse thing I’ve ever heard. Based on the comments, some people heard a woman, in their opinion, unjustly addressing her students for their poor scores. I heard a woman frustrated at her class and trying to find something, anything, to motivate them. I’ve been there and I sympathize. Part of me wants to rail against the world judging this woman. This woman I know works long hours, dedicates so much of her own time to helping kids, and, like many of us, tries to instill some sense of self-motivation in our students. I also recognize that my righteous indignation won’t matter to those too ignorant to see beyond the “no one talks to my baby that way” attitude that teachers see more often than not. Teachers are, in fact, people. They have breaking points, frustrations, and bad days like everyone else. Except, unlike other people, we are expected not to have those days. If we have a bad day, we are somehow bad teachers/people. If you don’t believe teachers feel that way themselves when a day goes south, you are talking to the wrong teacher….or a teacher who has given everything only to be disheartened. When I was in school…. I love my job. I love working with students and seeing them grow as artists and as people. Seeing a kiddo get excited about learning – glob! – nothing beats that. It’s amazing to watch and be a part of. Daily I worry that I have not hit the right balance between understanding and stern. Some days are harder than others, and I have, at times, mentioned to students that their lack of effort is how they earn the grade they get, whether it’s an A or a F is all on them. It’s hard to see students not care as much as you do. It is frustrating to say the least. Add on to that the threats to your career by angry kids/parents, the constant fear of having what you do in school twisted or taken out of context, and the fact that the standard you are held to as a teacher is so high, yet we are one of the least respected professions. It feels like you are always on the defensive and I can be a bit much. All it takes is one word and that is it. Pitchforks out, set the torches alight, off with their head – let’s not ask the real question: why aren’t we concerned about students willfully bombing a class and not being shamed by the fact that they were called out on it?! Another question to address is why, if you felt the teacher was in the wrong (an opinion you are entitled to of course), why post this video on a social media site? Why not take it to the school, talk to the teacher and administration, and deal with the issue instead of posting it without the context of what brought it on – because, let’s be honest, something did. Why are we okay with a student taping a teacher when that student is obviously in class AND does not seem to be paying attention at all? No wonder she is frustrated! She’s trying to strike some chord with them, and a student is more concerned with taping her with the obvious intention of hurting her career. Granted, I could be wrong about the intent , but posting the video to a social media site doesn’t really seem like the most legit way to deal with the situation if you didn’t want to embarrass/professionally harm the teacher in question. This incident is just the latest of several that have made me worry about my choice of profession – something I never thought I’d be concerned about. I worry not because I think I made the wrong choice or because I think I’m a bad teacher. Completely the opposite! I KNOW teaching is what I should be doing. I KNOW that I’m good at what I do, but I’m always willing to learn and grow in my profession. I KNOW that I mess up, but, in my work and in my personal life, I can admit to, and learn, from my mistakes and move forward. I KNOW I’m exactly where I need to be, doing what I need to do. I would just like to do my job to the best of my ability without constantly stepping on eggshells. I can’t make people like me. I can’t force students to work. All I hope is that, at the end of the day, I make a positive impact on my students’ lives. That is it – that makes it all worth while and why, despite my fears, I will teach. I will do my absolute best, and give it all I’ve got. I will do this because it is totally worth it for those kiddos that get something from it. As a student, I am so thankful for that. This trip has brought to mind some of the field trips I was able to go on when I was in elementary school. Of all the ones we went on – a trip to Virgie for a play, Shelby Valley for track meets, Camden Park for the heck of it – the trip to Richmond, KY and the EKU Planetarium was by far my favorite. I remember being so excited getting on the bus and sitting near my crush. Having extra batteries ready for my Walkman and a few cassettes to jam to on the 5ish hour ride we were getting ready to take – it was awesome! I loved being at the planetarium. Even more, I loved that my crush sat with me on the way home instead of with someone else. Sure, I was totally aware that he sat with me only because he was (and still is) my great friend, but…..it didn’t matter! We sat together, had a great time, and I got to wear his jacket and so-and-so didn’t. Win for me! It’s the small victories right? Not all field trips were school related. I grew up a member of the Williamson Presbyterian Church’s youth group with some amazing young people. Our revered, John Duncan, and his family were like a breeze floating in to a hot room. Their arrival brought about what I think of as a golden age of church going for me. We now had a large youth group and a young family willing to take us places. Heck, they were willing to put up with us both in their home and at events (Halloween parties, lock ins, etc) which was different from what we were used to: Sunday morning Sunday School, hanging out in the balcony, and going home with my grandmother. Church is still what I consider time to spend more with my family and friends and I don’t think that’s a bad thing. I am off track…sorry…. I truly loved church during the time of the Duncan’s and the memories I have of that time. Sometimes those memories sneak up on me, but they always bring a smile. A hand held tightly, a group sitting listening to records, painting on the classroom walls – and so many more great memories. Back to field trips. When I remember my past field trips, especially while watching the children I am responsible for, I wonder if they see these excursions as I did. I wonder if the bigger world in which they now live has taken away the excitement of an adventure away from home to a place you don’t know much about. For how many of them, will this trip be the one where they get to sit near their crush? Hold their hand? Share an adventure with their friends? Do they even think like that? I worry that in a world in which they grow up so fast – and trust me, for more than I’d like, they are growing up so very, very fast – that they don’t even see those small joys. So, on this bus, watching students who have spent a day in Charleston, I am reminded of how great those simple pleasures can be and how fleeting those times are. I really hope these children can have those moments and enjoy them. If you know me, you probably know I’ve struggled with finishing the final requirement to complete my Master in Public Health. However, with an uncharacteristic flourish of initiative, I made the arrangements to participate in a Dissertation/Thesis Boot Camp sponsored by the Graduate School. Last week I number crunched for eight hours a day in a barren little dorm room at Patterson Hall. Yes, I am claiming that as a vacation. This week I am writing 8 to noon and working 1-9pm at the lab. I’m cheating a little bit as Monday was Memorial Day, but four twelve hour days must count for something, right? Last week went so swimmingly and I was rather proud of myself with the progress I made stitching together my data set and the early attempts to analyze it. I merged datasets, recoded variables, negated skip patterns in the survey, and even began to characterize my sample population. And it was good. The holiday weekend came and went with guest appearances by Adventurer, Conqueror, King, Draw Something, and steaks. Tuesday came and I was ready for it: continuous and categorical variables of interest were estimated and luminous demographic tables were erected. My head buzzed with the tangle of influences on my dependent variable I was beginning to delineate. And it was good. And then this morning happened. And it was fair at best. Our organic and rather arbitrary black fluffy alarm clock went off at an unspeakable hour and refused to be placated with food, treats, pets, hugs, entreaties, bargains, pleas and barring all of that a good deal of hateful shushing. I’m sitting at Boot Camp (if any military friends care to comment on the oxymoron, you are well justified) now and really can not get started on task at hand. So I am squeezing words onto this blog until the runaway reaction of word fusion takes off and I can actually focus on the real reason I am sitting in a dorm room with nothing but a desk, lofted bed, and window to keep me company when many adults my age are typically at work receiving compensation for their time. I have really missed posting on this blog. No excuses, just haven’t made time for creative endeavors when I’ve had it to devote until recently. There have been a few highlights but mostly there have been a few day-to-day discoveries I didn’t realize would be so creative. In the main event, my friend Grace and I recently took a “Introduction to Home Brewing” class at the Lexington Beerworks. The information was very accessible and the class covered the basic Brew Day routine while maintaining a largely conversational air of informality. I highly recommend taking a class if you have ever been interested in home brew and there is one coming up on June 2. I am also lucky that Grace’s husband, a beer hobbiest, will let us use his equipment and be on hand for the “oh, hell” moments. We are going to start our first batch this weekend using a “summer ale” kit we will tweak with the addition of orange peel. Our batch will debut around Independence Day if all goes well. Fingers crossed! In day-to-day operations, I have found myself completely addicted to Draw Something, a free app where you cooperatively send your friends drawings back and forth to guess the prompt word. I never realized how much fun it could be to tailor a pictorial message to the recipient. It’s comforting that sketches are digital and go away, but it’s leading me to want to sketch things out more often in real life. It’s also really neat to see the way your friends choose to approach a drawing or represent things to you. My only criticism of the free app is that the words are limited and you soon start drawing the same things over and over. However, the full version is cheap and I’m told there are more words and colors to use. If I ever bother to upgrade, I’ll let you know. I’ve been playing a really fun pen and paper RPG system called Adventurer, Conquerer, King run by my friend Sam. I’ve played in a few D&D 3.5 and higher edition games and one D20 modern campaign but really have never explored other systems. It was an adjustment at first to declare actions prior to rolling for initiative and to hinge on a truly narrative based style of playing but I think it’s kind of the perfect system for me because of the narrative and the necessity of table talk to get things done. Last week we rescued an ankylosaurus and stopped an evil sorcerer from raising his army through ritual sacrifice. Sam runs a great game and everyone who plays does their character justice, something I could do better than I have been so far. Any tips for a Ruinguard from inside the Mandate? So I maintain that there is creativity present in my life. It’s just used sparingly and not in the form I expect when I get up in the morning. Like what my capstone data tells me in direct contradiction to my hypothesis, lol. But I guess many good things probably come that way, though. Maybe it’s just part of learning to love the incidental discoveries in addition to making good things happen. I think that’s what I’m going with today and hope it helps you out, too, if you need it. I hope you’ll wish me luck as I return back to the world of statistical software packages and data analysis. I should be back soon to report on upcoming challenges for D3Z, Staci, and myself here on the Easel. Well, it’s been quite a while since I’ve sat down to write or do anything beyond go to school, teach, coach, come home, but I’m trying to get back on track. Hopefully, if I can get my mind to where I want to be my life will get back to where I want it to be (I hope that makes sense to you reader…sometimes I believe I’m making perfect sense when really, I’m not). But I’m getting off topic…. I really want to work with the idea of using t-shirts as a base for paintings that don’t reflect my family or friends, like most of my art does. I’m starting off with a Darth Vader shirt with the words “The Empire Wants You” written in red across the front. My goal is to use gesso to attach the shirt to a piece of plywood (instead of canvas) and then paint a scene around it based on the t-shirt used. 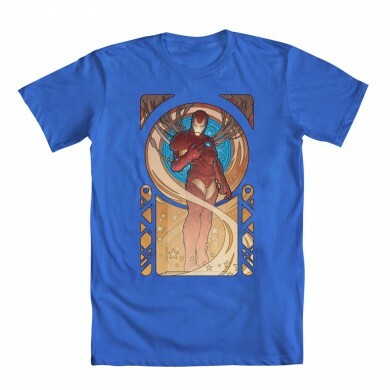 Now, this isn’t a one-off deal – I have many t-shirts that I can use for some pretty neat paintings. Yes, I have a confession to make: I’m a t-shirt junkie. I LOVE fun t-shirts. 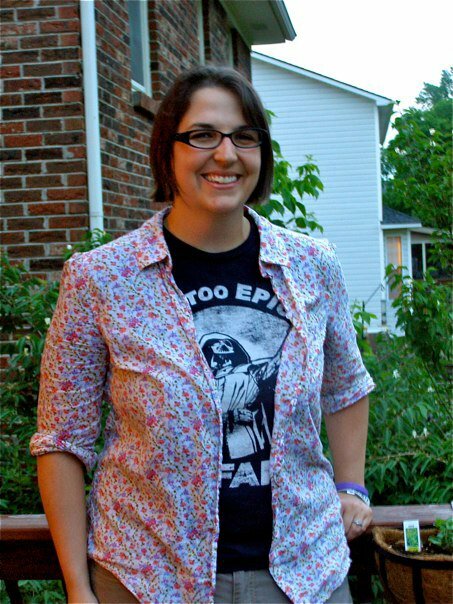 Comic shirts, Star Wars shirts, Monty Python shirts, University of Kentucky shirts, movie shirts – I LOVE LOVE LOVE them. I wear them under my “work” shirts (aka: button up). Being an Art teacher, I get a little leeway. It also doesn’t hurt that the most awesome principal ever, Mark Leet, is a Star Wars fan and doesn’t think my Boba Fett hoodie is a problem. ANYWAYS…. I’m using the t-shirts that I know I need to clean out of my closet BUT can’t really give away. I’m sorry to those of you who wait knowing I’ll eventually clean out my closet – I’M KEEPING THEM ALL!!!! hahahahahahaha! Sorry. That wasn’t very mature. I’m just excited about this new project – a new start on something. Now, despite my depression about things beyond my control, I haven’t been completely out of the loop or trapped in my Dark Hole of Questioning My Future.” Besides time with family, friends, and good, quality time with Doug, I’ve been coaching a 6th grade boys basketball team AND patiently waiting for The Muppets. 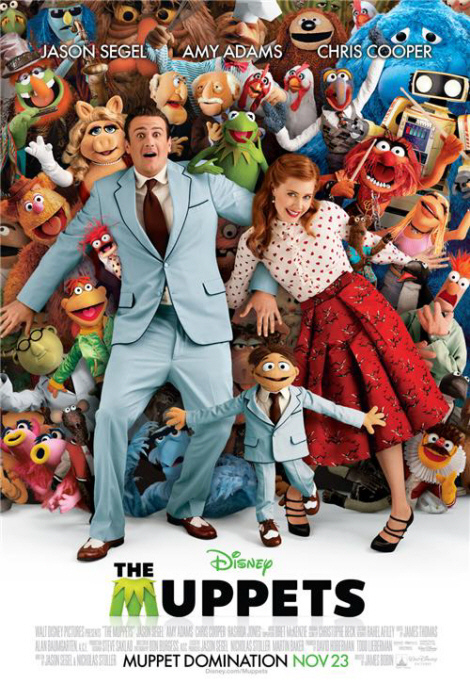 If you are not aware that there is a new Muppet movie out there in the world – THERE IS A NEW MUPPET MOVIEOUT NOW!!! Thank you all for your patience and understanding with the lack of posting on my part. I’m trying to swim out of my pool of self-pity and doing some art for myself and not for teaching or the hallways (Christmas decorations for the main hallway is KILLING ME!) is my life saver. Still, I appreciate the support of my family, friends, and Doug. No matter what, I know I’m loved and at the end of the day, that’s good enough for me – and more than I ever expect. Friday became a day of awareness for me. I had planned on doing a lesson about the 9/11 Memorial and Museum in my art class with the hope that I could tie our discussions about symmetry, contrast, and how artists plan out their work. Other teachers in the school had also decided to, instead of not addressing the 10th anniversary of that fateful attack, deviate from their original lessons and take the moment to teach our students about the events of 9/11 and try to answer the questions they were having – and believe me, they had the questions. Most of my students have no memory of the attacks, and if they do, they are vague (I teach middle school students). After showing what I believed to be a well put together collection of clips – Craig McMurtrie touring the site and talking to the architect, a time-lapse video of the actual building of the structures, and then a virtual tour of what the site should look like when the memorial is integrated into everyday life (after the completion of the One World Trade Center skyscraper), I gave my students a few simple questions to answer about the site. What BALANCE is the artist using in his design? What elements CONTRAST in the artwork? What do you like about the memorial? – explain your answers. Simple enough, should allow those who haven’t done well on my two tests to make up for it, show they understand the material…..but it wasn’t. My students wanted to know more about the attack than I had anticipated. They wanted to know why it happened? Why would anyone want to do that? Why do they hate us? Will it happen again? I tried to answer their questions the best way I could. I explained that Al Qaeda doesn’t like the way we live and believed that what they were doing was right. We talked about religion, how extreme belief can cause people to do extreme things. I really tried to focus on telling them that just because one group of people do something horrible, doesn’t mean all of that particular group are like them. All day long we talked about the “whys” and by the end of the day, I wasn’t so sure that I had done a good job at all. We even spent some time talking about a world prior to 9/11 and how the events of that fateful day changed everything. While it was already harder than I imagined talking about the 9/11 attacks, it was discussing a world prior to those events that struck me the hardest. My students don’t know a world prior to 9/11. They don’t know a world prior to Columbine. They only know terror alerts and war. They practice lock down drills and have their cell phones on them at all times. They are so connected to the world around them via technology, yet many don’t know how to talk with someone they are face to face with. They participate in sports but don’t know what it means to have sportsmanship or how to recover from a loss. Everyone wins, no one can fail, and if someone does fail, it’s not a learning experience to make them better or inspire improvement – it’s someone else’s fault and it better be fixed. It’s a strange world to live in right now. It feels as if we are on the edge of something, that all it will take is a push, and we will tumble. I have felt this way for a while now, but today felt as good as any to comment on it. I’m not trying to say that I grew up in a golden time (mid-80’s – late 90’s), and that my childhood was better than their childhood is. Looking back though, I feel that is was distinct. It was almost as if there was a grace period between events in the United States and I got to grow up in that grace period. This is an idea I want to explore more though both writing and art, but it won’t be today. I can’t articulate it enough to do my memories, or the reason for remembrance on this specific day, justice. It hurt to watch the planes crash into the Twin Towers. It hurt to feel the fear that other people in other countries feel on a daily basis. The events of 9/11/01 have shaped the country we live in today – they helped shaped the world we live in today. At times, I don’t know how I feel about that. All I can be for sure on is that I feel loss when I think about the day the towers fell. I feel sympathy for the people who had loved ones die on that day, and subsequent, ongoing, days during the War on Terror. I don’t know how to end this writing. I don’t know what I can write that will express how I feel this morning. Maybe I should have kept my thoughts to a blurb on Facebook and left it at that. I don’t know about that at all, but, I do know it is important to remember, to acknowledge, to discuss, to encourage positive change, to understand that your point of view isn’t the only point of view, to learn and keep learning, to love, to hope, and to keep living when everything changes around you. Life can’t be lived in memories or fear, but it can be shaped by both. Hopefully we are being shaped by the memories of bravery, courage, community and not by the fear of the unknown threat. Well, today began the first official week of school. The first three days don’t really count – especially since the bells don’t work yet, students don’t know where they are going, and it’s just a hectic repeat of rules, rules, and more rules. That being said, I don’t think it could have gone any better. I haven’t been this excited about a new year as a teacher since I first became one oh so many years ago (6 for those of you counting at home). I’m finding it a little difficult to balance my schedule though, which is proving problematic. I could put some of the blame on not being hired back officially until about 2 weeks before school started, but that’s only part of it. I have a tendency to put things off what I think are more important. As I’ve mentioned before, I used to get so bogged down in things at school, that my life suffered…and then my work suffered. I try to keep it all as balanced as I can, but that causes some problems from time to time – like now. I’m in a bit of a limbo as to what I should do about it. Do I work on jewelry for an hour, then go back to my power point for the class, OH! what about this cool project that I would love the kids to be working on…but wait, they haven’t gone over the terms in the standard yet…and so on, and so on, and so on. It’s no wonder I’m having nightmares about not finishing anything! First off, don’t get me started on “proper paths or bounds.” What is “proper” anyways?! To me, a better way of looking at being “errant” would be to view it as straying outside of conventional paths or bounds – which is what I believe we are doing here. So, here is a sampling of my logo making abilities. I’ll be working on them some more once a consenses is made between us. These are really sketched out ideas for now. I’ll try to be better about scheduling my time, which, by the way, puts me in even more awe of the working men and women who balance not only a career, but husbands and children as well. I have a fiance’ and I can barely handle it sometimes. Maybe this is just what I need though – something more to do besides work and home – that’ll make me be better about how I deal with my time during the day? We can hope right?